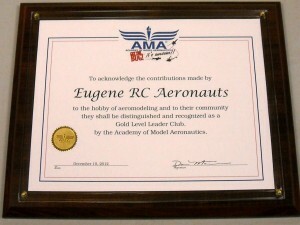 The Eugene RC Aeronauts Club holds Charter #530 in District 11 of the Academy of Model Aeronautics. 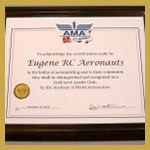 This club, which is incorporated under the laws of the State of Oregon, shall be known as “EUGENE RC AERONAUTS” of Eugene, Oregon. The purpose of this club is to promote the hobby of radio-controlled model aircraft. Our flying site is located near Alvadore which is approximately 10 miles north of Eugene Oregon. The Aeronauts have instructors in the club to help you get started and teach you how to fly. There are accomplished pilots who have accumulated hundreds if not thousands of hours of flight time and they are really nice people. When you visit our airfield you will see and hear model airplanes of all shapes and sizes. Be aware that RC airplanes are NOT toys, they are miniature aircraft. Some planes are capable of flying at speeds over 100 miles per hour. 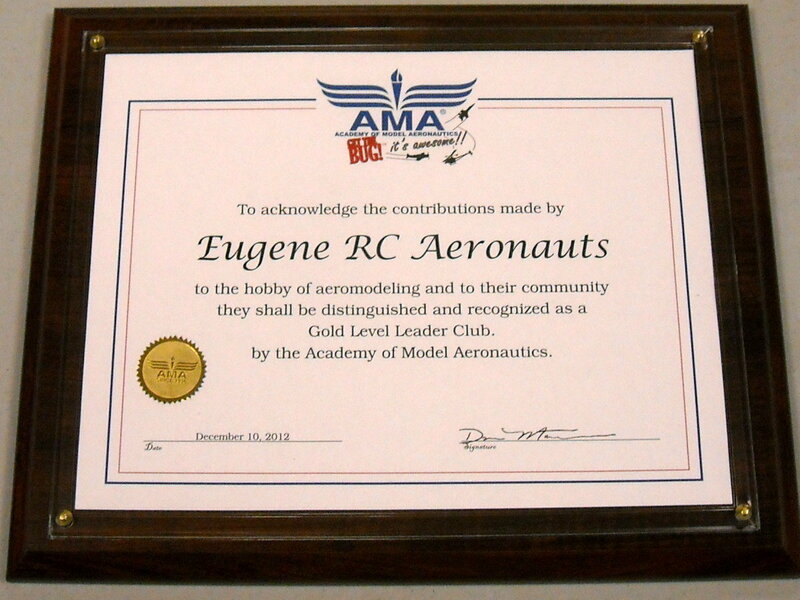 To fly at our airfield you must be a member of the Academy of Model Aeronautics. You can pick up an application to the AMA at most local hobby stores, you can contact us and we will send one to you or join AMA online. We suggest you send in your application early as it takes one to three weeks for the AMA to send you your membership card.